i want to use "Curaçao" as a country. It is listed in the "vendor/magento/zendframework1/library/Zend/Locale/Data/en.xml" but i do not see it in the country drop down list. Does anyone know how i can get it to show up in the list? Thank you. You'll also need to add Curaçao to the directory listing in your store. If you have access to the database, you can test using SQL statements, then create a custom module and InstallData script that can be used again in the future. For more information on the installer script method, you can see how Magento is creating the initial directory items on Github. Add a record to the directory_country table, referencing the territory code from the Zend Locale file. Finally, add a region name reference. 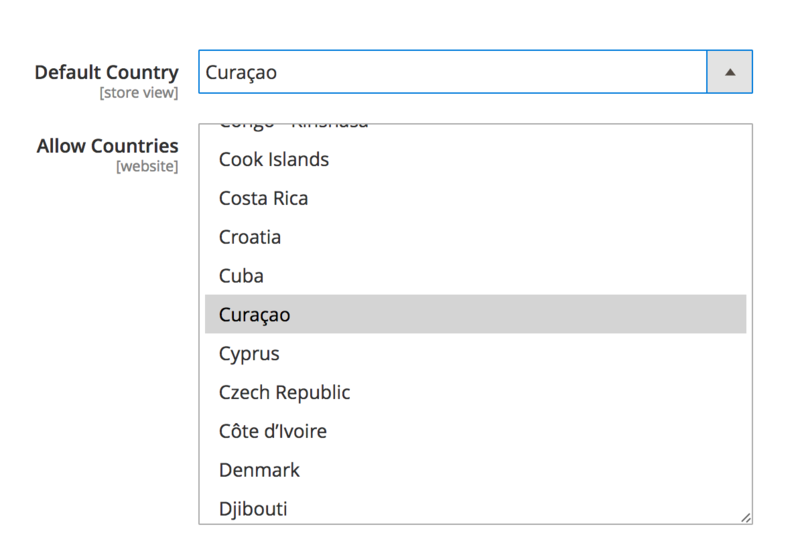 Assuming you don't receive any errors, you should be able to clear cache and see Curaçao as an option. How to use region updater in custom module? How to get and set data in checkout shipping address magento 2?